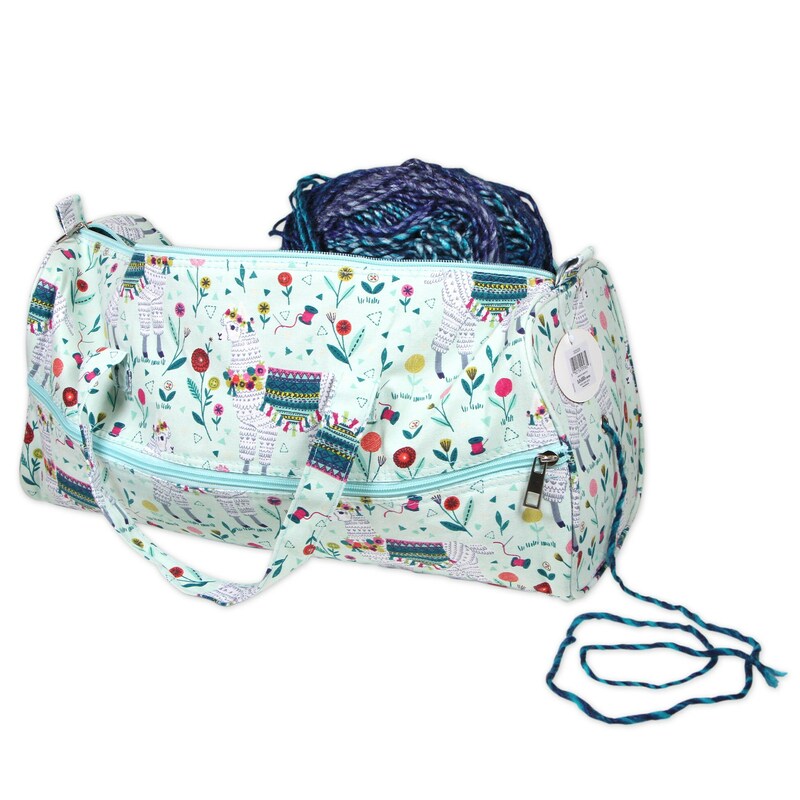 This knitting project bag is perfect for the knitter / crocheter that is on the go. 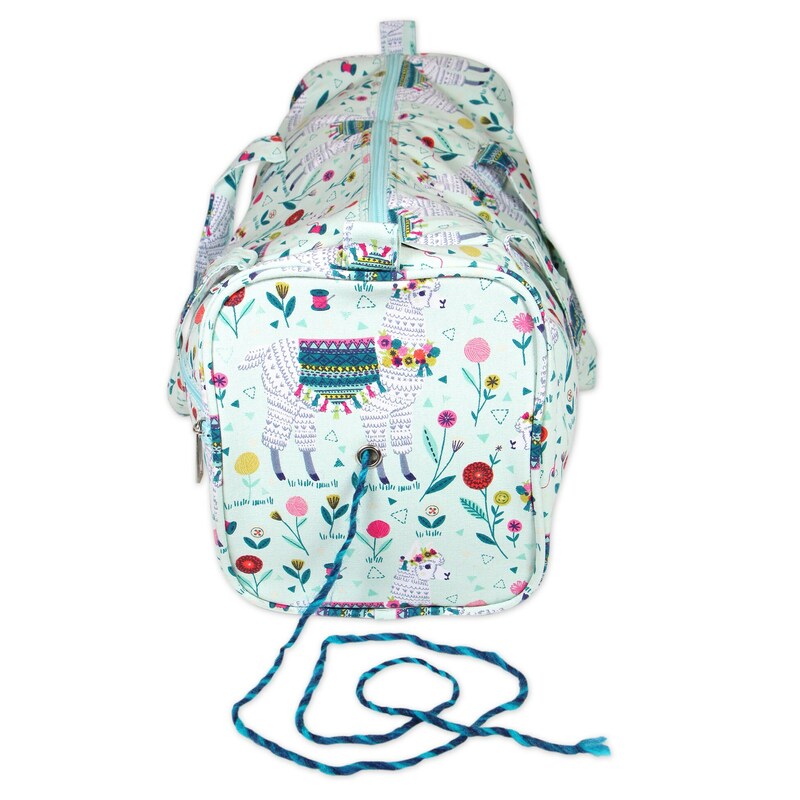 It is setup perfectly to just pick it up and do your work without having to spread yarn all over the place. The eyelet hole at one end allows yarn to easily pull out, without catching through the eyelets. 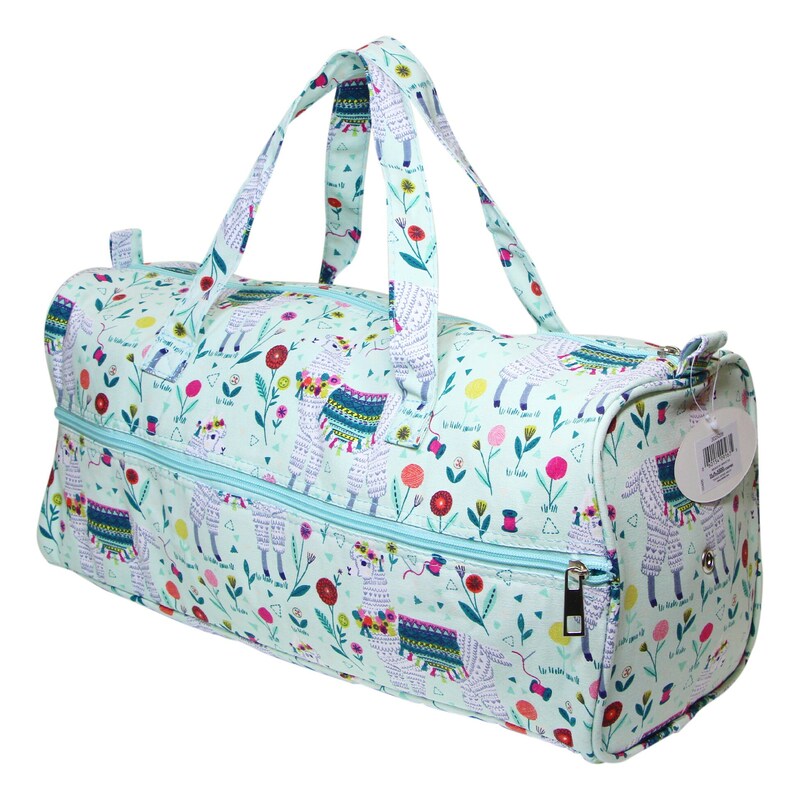 It also has one outside pocket with a zippered closing for all your knitting or crocheting accessories. 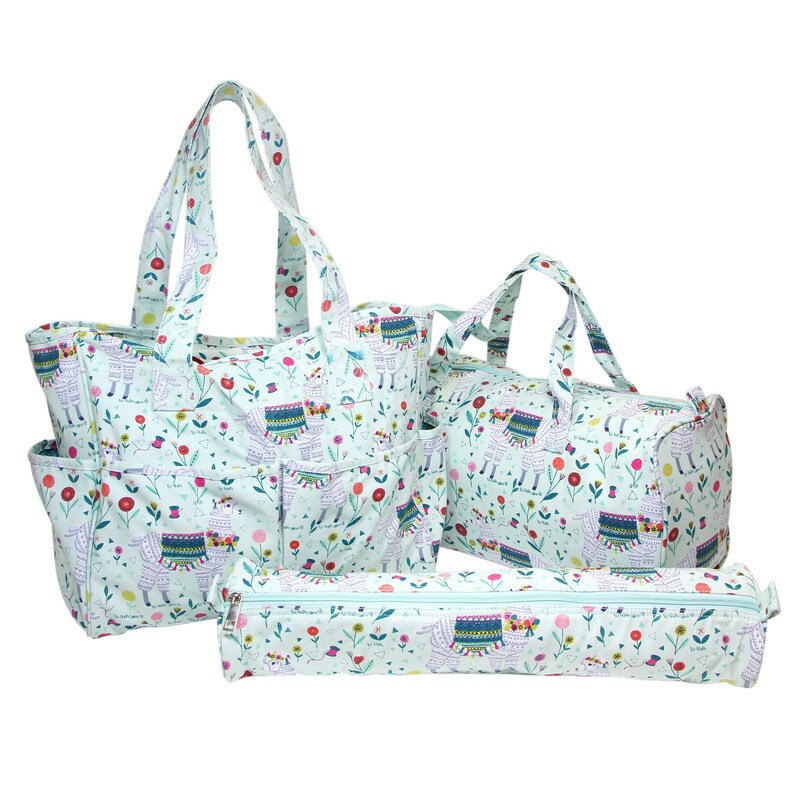 Size: 45 x 16.5 x 19.5 cm (17 3/4″ x 6 1/2″ x 7 3/4″). 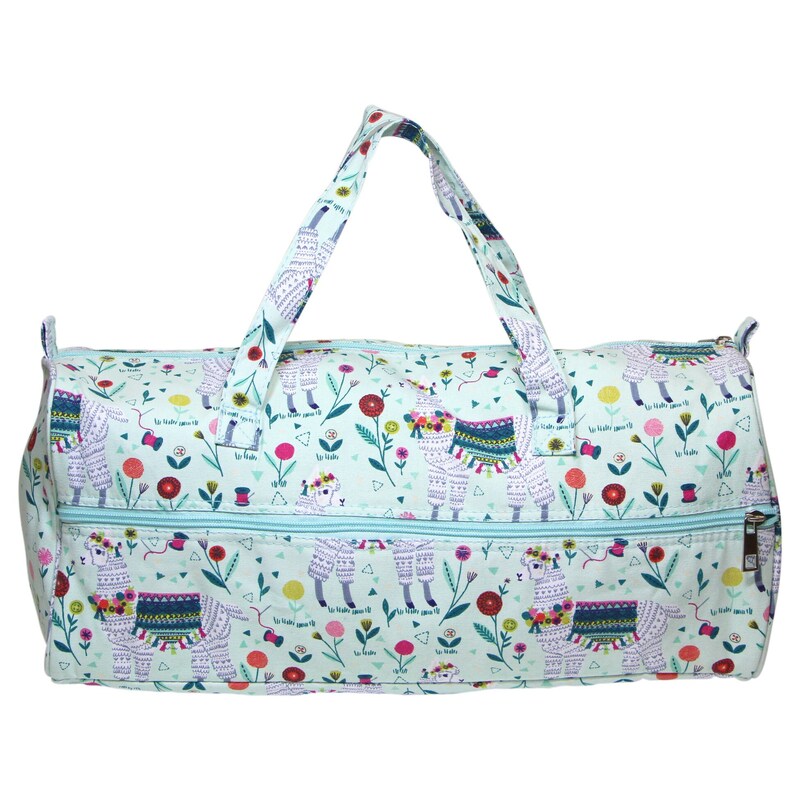 Other Llama shapes and sizes available too!